The world in which early Christianity developed consisted of a complex of distinct communities and cultural 'layers', which interacted with one another, sometimes co-operatively, and sometimes in confrontation. * the culture of the political overlord, Rome. It shows how Paul, as a Jew, a Greek-speaker and a Roman citizen, participates in all of these 'layers'. 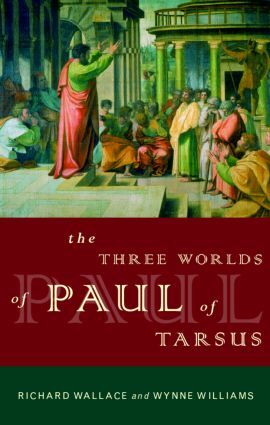 The authors give an account of the places Paul visited, showing their historical, cultural and political differences and discuss the varied categories, such as religion, philosophy and language, which constituted identity. Richard Wallace is a lecturer in the Department of Classics at Keele University and the treasurer of the Classical Association. Wynne Williams retired from teaching ancient history at Keele University in 1991. He is co-author, with Richard Wallace, of The Acts of the Apostles: A Companion (1993).